Guitars are out. 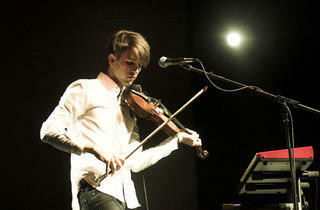 Violins are the new instrument of choice for those wanting to up their coolness. Don’t believe us? 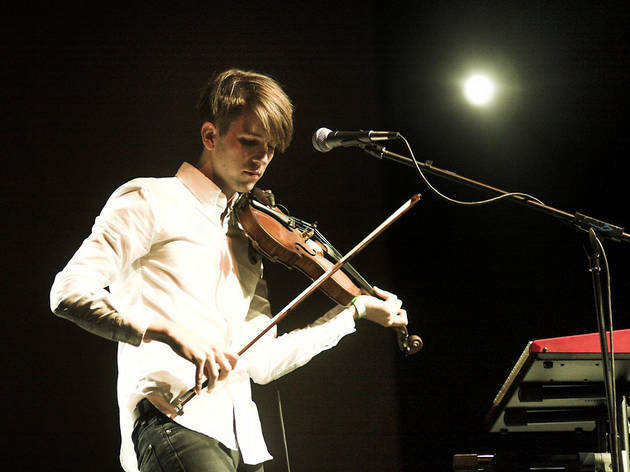 Take Canadian multi-instrumentalist Owen Pallett’s arty, achingly personal, violin-led ballads. A niche musical area perhaps, but in Pallett’s capable, creative hands, one that has led to him touring with Arcade Fire, being nominated for an Oscar (for the score he co-wrote with Arcade Fire’s William Butler for Spike Jonze’s Her) and working with legends like Brian Eno. In Conflict, the fourth solo album from Pallett (previously writing under the name Final Fantasy), is a sublime demonstration of why he’s held in such high regard. Striking a fine balance between avant-garde and accessible, it’s an intense listen, but full of universally appealing, sparkling melodies, with Pallett’s unfaltering falsetto melting over the top. Don’t be surprised to find passages from "On a Path" or "I Am Not Afraid" lingering with you. Towards the end of the album, stripped-back love songs give way to something approaching grandiose orchestral rock—a term that understandably fills people with dread. With Pallett at the controls, however, it’s a glorious, engulfing journey, layered with furious riffing and epic vocal turns. In Conflict is a beautiful and powerful album, light as a feather in its delivery of complicated musical and lyrical ideas, but packing a punch that’s sharp enough to floor most other records released this year.